This report examines allegations of state involvement in the murder of Patrick Finucane, a prominent Belfast human rights lawyer who was murdered on February 12, 1989.In this report, we piece together the evidence of state involvement that has emerged gradually in the 13 years since Finucane was murdered. We also present new allegations of security force involvement in the killing and subsequent cover-ups. With this report, we hope to force the UK government, by the weight of evidence, to finally carry out a public inquiry into Patrick Finucane’s murder. Killing Finucane tells the story of Britain’s dirty war from the start of the conflict and through the 1980s and 90s. It tells of how Special Branch corrupted the RUC, stymied the Finucane murder hunt while recruiting his killer as an agent, and perverted the course of justice by lying to the Stevens inquiry. These abuses were official government policy.O’Brien demonstrates that MI5 controlled the entire security environment, including Special Branch, and covered its tracks by a deliberate policy of scapegoating alleged ‘rogue operators’. In exposing the reality behind the dirty war in the north of Ireland, Killing Finucane serves as a warning about the corrupting tendencies of an unaccountable security apparatus. It tells of how agents involved in the killing were protected rather than prosecuted, and reveals why this was allowed to happen. In this book 30 people tell their stories of battling with the authorities to establish the truth about state killings.They describe how they took up the fight, often unwillingly and in circumstances of great pain and sadness. Here are the testimonies of ordinary people who became extraordinary champions of human rights, challenging the might of the state and sometimes succeeding. For the majority, however, the fight goes on. An attempt to expose corruption and prejudice within the ranks of the old unionist establishment in Ireland.McPhilemy maintains that a secret committee of 60 members of the unionist regime controlled the Royal Ulster Constabulary and allowed violence against Catholics and Irish nationalists to be fomented with impunity. 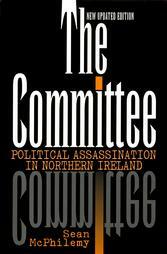 In April 2003, the Stevens Report provided the first official acknowledgement of collusion between loyalist armed groups and British security forces in the murders of nationalists in the north of Ireland.Yet, as this book demonstrates, such collusion and associated conspiracies have been a central feature of the British response to the conflict in Ireland for more than thirty years. In State Violence the author chronicles the abuse by the British State of emergency laws; harassment and intimidation of civilians; injuries and deaths caused by rubber and plastic bullets; collusion between British security forces, British intelligence and loyalist paramilitaries; unjust killings and murders by the security forces; excessive punishments and degrading strip-searching in prisons – abuses ignored by all but a handful of individuals and civil rights organisations. This book traces the history of the British Army Special Air Service Regiment, the SAS, in Ireland over the past twenty years.It details their activities – intelligence gathering and surveillance, their links with British intelligence, notably MI5 and MI6, their connection with sectarian murders and many other deaths.